High-tech options have turned up the heat in the oven market. Discover what's hot, then choose the one that suits your way of cooking and living. Steamed foods are healthy and quick to cook as well. And now, some manufacturers are offering ovens with steam as the sole source of heat, via a refillable water tank that does not require a direct plumbing connection. One of the best is Miele's convection steam oven, notes Allen & Petersen. 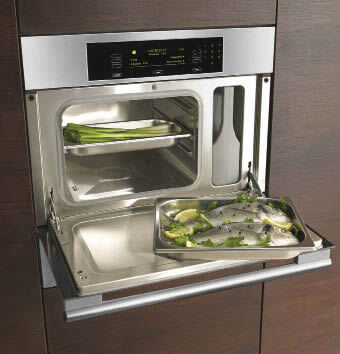 The oven's multi-level cooking chambers allow home chefs to cook an entire meal simultaneously in about 20 minutes. Pictured here: The DG4082 steam oven in clean touch steel. Available through Allen & Petersen, or visit www.mieleusa.com. Many homeowners are switching from gas to induction cooktops because of its speed and safety. It's also very easy to clean. But what if you have no space for a separate wall oven and an induction cooktop in your kitchen? No worries. Now home chefs can get their oven and induction cooktop all in one, such as the Electrolux 30" Electric Built-In Range with Induction Cooktop (pictured here). 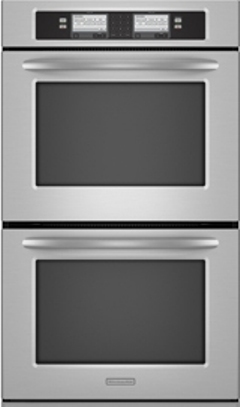 Available through Allen & Petersen or visit www.electroluxappliances.com. Now, you can double your cooking pleasure without sacrificing valuable kitchen space. The GE Profile Built-In Single-Double Wall Oven features two ovens in the space of one. The double oven fits in the same space as a 30" single wall oven, offering a smaller upper oven along with the lower oven that will roast a 22-pound turkey. Whether preparing for dinner parties, holidays or everyday meals, you'll enjoy the ability to cook multiple dishes at different temperatures all at once in this wall oven. Available through Spenard Builders Supply or visit www.geappliances.com. Another induction wonder: Gaggenau's extra-wide CI 491 Induction Cooktop. It's been updated with the latest restaurant-grade frying technology. A frying sensor keeps the oil at a precise temperature so it doesn't overheat, the maker says. When the frying sensor reaches the correct temperature, an audible signal alerts the user to begin frying. Maintaining that constant temperature over the course of meal preparation decreases energy loss and increases efficiency. The unit features five flexible cooking zones ranging from 1,400 to 3,600 watts, 17 output levels, power boost, memory cooking, and pan detection. Available through Ferguson, or visit www.gaggenau-usa.com. 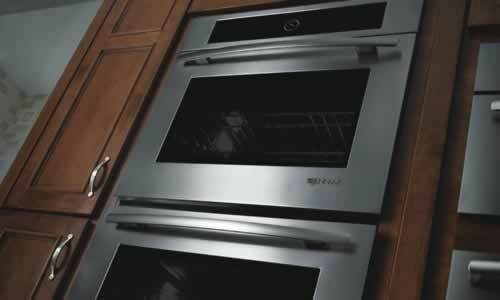 KitchenAid has created the first-ever built-in double oven with steam-assist technology. The oven is ideal for preparing healthy and mouth-watering foods without constantly basting and adding moisture. The dual-fan convection with steam-assist technology provides even heating and enhances flavor and texture. 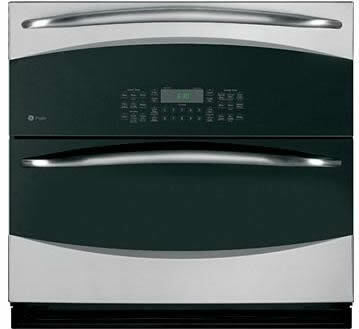 Shown here: The 30" Double Steam-Assist Electric Wall Oven. 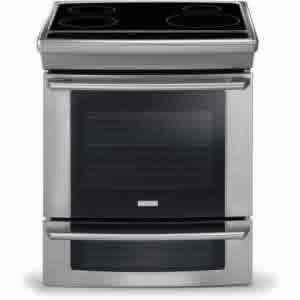 Available in pro style range and wall oven through Spenard Builders Supply or visit www.kitchenaid.com. Jenn-Air has developed a unique convection wall oven. The V-2 vertical oven offers the industry's most powerful convection system, says the maker, and provides even convection baking and roasting. The 7-inch, glass-touch screen is the largest of its kind and features a touch anywhere, full-color LCD display. A no pre-heat cycle saves time and energy. Available in 27" and 30" models, and style choices include oiled bronze, black and white "Floating Glass" and stainless steel. Available through Spenard Builders Supply or visit www.jennair.com.